We watch sports to see who wins and loses, but also to be inspired – and 2016 offered plenty of examples of the latter, from a touching moment between two strangers on the Olympic track, to a little boy from a war-torn land who met his favorite soccer player, to a warm ovation fueled by empathy for a visiting NHL goalie. Moments and feelings that will be recalled more vividly than any numbers on a result sheet or etched in bright lights on a scoreboard. There were athletes and coaches whose stories touched us, as well as folks connected to the sports world who contributed their own uplifting vignettes. One example: When sideline reporter Craig Sager died from leukemia this month, there were heartfelt tributes tinged with sadness, of course, but also remembrances that spread the positive message he offered as he continued to cover the NBA and college basketball despite his illness. First, Murtaza Ahmadi, a 5-year-old from Afghanistan, was photographed wearing a plastic bag fashioned into a makeshift Lionel Messi uniform – blue and white stripes, like Argentina’s national team; Messi’s name and number written in black marker. The image became an internet sensation. Later, Murtaza got to walk with Messi onto the field before an exhibition game. When it was time for the kickoff, Murtaza did not want to leave his new pal’s side. During a qualifying heat for the 5,000 meters at the Rio Games, Abbey D’Agostino of the U.S. and Nikki Hamblin of New Zealand got their feet tangled, sending both sprawling. D’Agostino got up and, instead of trying to get herself back into the race, crouched down, helped Hamblin rise and whispered: “Get up. We have to finish this.” Turned out both were injured – D’Agostino could barely move by race’s end and needed a wheelchair – but they crossed the line. Then they hugged. Longtime friends? Hardly. “That girl is the Olympic spirit, right there,” Hamblin said. “I’ve never met her before. Like, I never met this girl before. And isn’t that just so amazing? Such an amazing woman.” Even Olympic officials were moved by the episode , awarding both runners berths in the final. The Chicago Cubs’ first World Series championship in more than a century was a big deal to many long-suffering fans – and provided a way for some to reconnect spiritually with lost loved ones who never got to see Wrigleyville turn into Titletown. Wayne Williams kept a pledge he and his father made to each other and shared a moment they’d both been waiting for all their lives. Williams drove from North Carolina to his father’s gravesite in Indiana to listen on the radio “together” as the Cubs beat the Cleveland Indians in Game 7. Takes something special for supporters of one team to salute a player for an opponent that won a game, and that’s what happened early in the NHL season in Edmonton. The Oilers’ fans gave Senators goalie Craig Anderson a standing ovation he made 37 saves for a shutout in Ottawa’s 2-0 victory over Edmonton – his first start since learning his wife had been diagnosed with cancer. 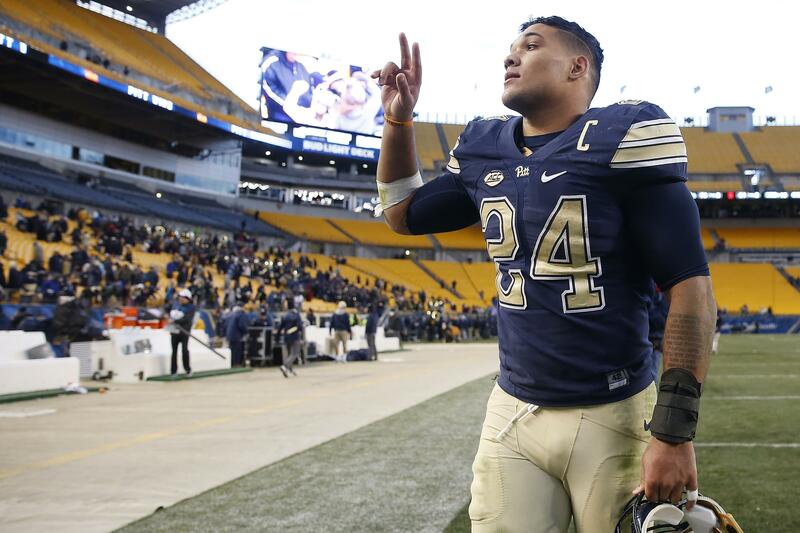 University of Pittsburgh running back James Conner was diagnosed with Hodgkin lymphoma in 2015, went through more than five months of draining treatment, then returned to college football this year and wound up breaking Atlantic Coast Conference records for career touchdowns and running TDs. Now he’s headed to the NFL. Published: Dec. 24, 2016, 7 p.m.